Police are investigating after a suspicious letter was sent to the Maine home of U.S. Sen. Susan Collins. Bangor police said officers responded to Collins' West Broadway home just before 2 p.m. Monday for a report of a suspicious envelope that had been delivered to the home. Firefighters and a local hazardous materials crew also responded to the scene, according to police. 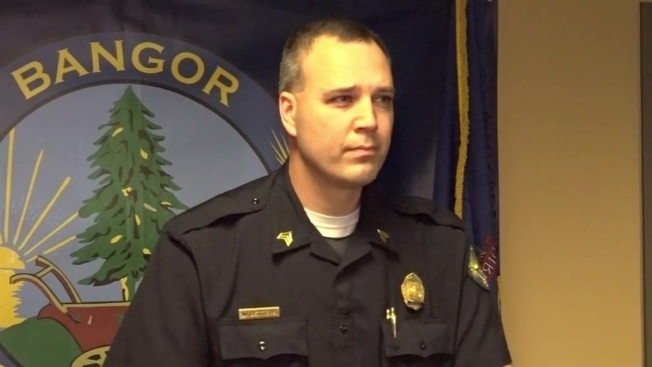 Although no other details about the nature of the suspicious letter were immediately released, authorities in Bangor reassured residents that there was no information to indicate a public danger. WCSH reports that Collins' husband was home at the time when the letter was received and that Collins is heading to Bangor from Washington, DC. "We are very grateful for the immediate and professional assistance that we received from the Bangor Police Department, the Maine Crime Lab, the Maine State Police Department, the Capitol Police, the FBI, the Orono Hazmat Unit, the Bangor Fire Department, the U.S. Army, and the U.S. Postal Inspection Service," Collins and her husband, Tom Daffron, said in a written statement. "We are also truly appreciative of the many well wishes that we have received today. Our friends and neighbors have been incredibly kind and have even offered to open their homes to us. We feel blessed to live in such a supportive community." Collins became the target of partisan ire after the moderate Republican voted to confirm Brett Kavanaugh to the U.S. Supreme Court earlier this month following sexual misconduct allegations.